Open the doors to your own kingdom and let yourself be surprised by an explosion of colors. This palace is the dream of every woman with a choice of no less than 18 shades! Nobody can resist the temptation! Queen Tarzi Royal Eyeshadow Palette is a breathtakingly beautiful eye shadow palette. Open the doors to your own kingdom and let yourself be surprised by an explosion of colors. This palace is the dream of every woman with a choice of no less than 18 shades! Nobody can resist the temptation! 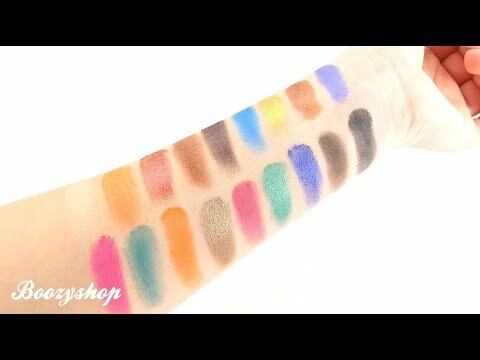 But the temptation only gets bigger when you see how intensely pigmented all shades are! They range from cobalt blue and gold to bright orange and fuchsia with both a matte and shimmer finish. Thanks to the unique formula you can easily apply all shades, are long wearing and a dream to blend. They are all easy to fade and blend seamlessly! These vibrant colors will take your creations to the next level! Are you the queen of the evening? Create the most beautiful looks, because the possibilities are endless! Matte as a shimmer finish.